Star Trek: Asterisk "By Any Other Name"
The Enterprise is captured by the Kelvans who want to go back to their home in another galaxy, a trip that will take 300 years. Scotty gets one of them drunk. It starts off like most episodes: with a distress call. They beam down to a planet to see if there are any survivors to help out and it turns out there were some survivors. But they're going to help themselves. To the Enterprise. They demand that the Enterprise be given to them so that they can bring it back to their home galaxy. So why does anyone care to listen to their ridiculous plea? Because they have devices that can paralyze people. As it happens, these extragalactic aliens came to this galaxy in a ship that was destroyed by the galactic barrier. We saw in the pilot episode, "Where No Man Has Gone Before", that there's a weird barrier around the galaxy that's pretty destructive and sometimes turns people into gods. Well, this time it didn't turn anyone into a god, but it did destroy the alien's ship. And now they have to pass through it again with a sturdier ship and make the 300 year trek back to Andromeda. When they get there, they are to report back on the suitability of the Milky Way for conquest. Kirk tries to tell them that there are several uninhabited planets that they can colonize instead of having to resort to conquest, but NOOOOOO, they say they have to make war and kill things and such. To demonstrate his power, he turns two redshirts into cuboctahedral solids and crushes one of them. Meanwhile, the rest of the team is imprisoned in a nearby cave while the Kelvans make upgrades to the Enterprise. While there, Spock makes a mind meld connection with one of them and explains that their humanoid form is not natural. They usually have tentacles and such. When all the upgrades are made, the Kelvans allow Kirk and the crew back up onto the ship. Apparently, they need the humans' help in order to pass the Galactic Barrier. Once they're through, though, they start turning everyone into cuboctahedral solids. The entire crew except for Kirk, Spock, Scotty and Bones are done away with. So it's time for them to devise a plan to get the ship back. Bones notices that in their humanoid form they're experiencing feelings and emotions that they're not used to. 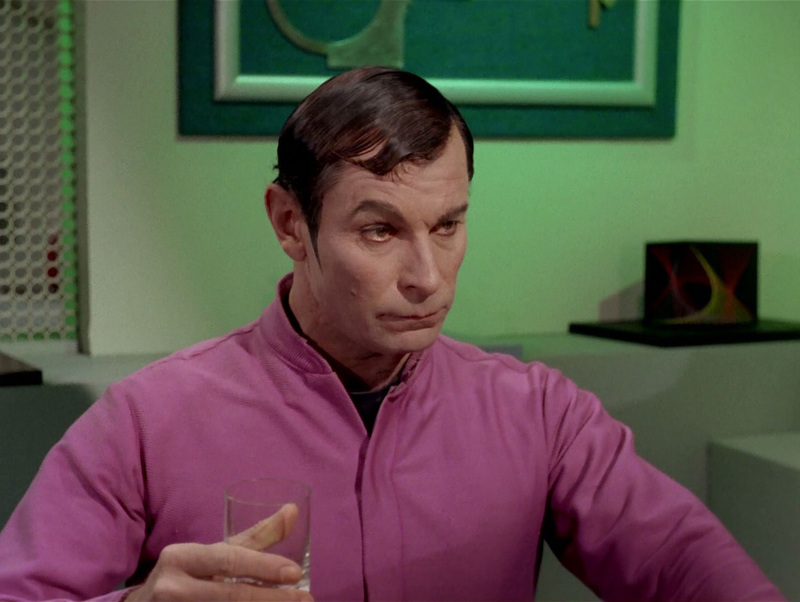 So, in order to get one of their devices, Scotty decides he's going to get one of them drunk, Kirk decides he's going to seduce the female, Bones decides to pump one full of unnecessary stimulants and Spock decides he's going to play chess with the leader. Finally the ball is in their court. This drink! I like it! ANOTHER! After a classic scene where Scotty gets a Kelvan drunk on every possible alcohol in his quarters (including something that is... "green"), he succeeds at taking one of the devices, but then passes out. Meanwhile, Kirk "apologizes" to the female Kelvan and teaches her how to love. Which makes the leader jealous, especially when goaded on by Spock and Bones. 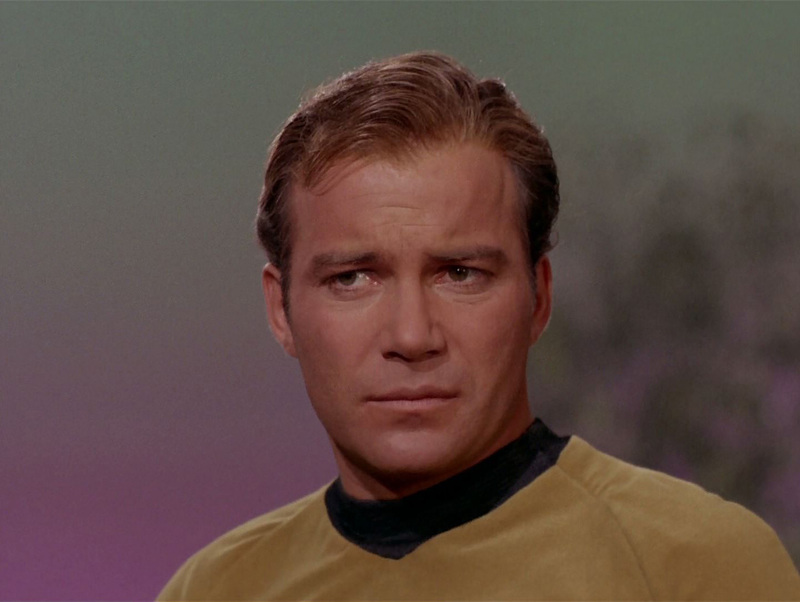 Finally the leader jumps into a jealous rage after Kirk and fights him all over the ship. After throwing a few punches, the leader eventually realizes that he's changed so much. That he'll be almost unrecognizable to the people on his home planet. Taking the opportunity, Kirk says that they can still go to the Federation to solve their problem by means of colonization instead of conquest. Reluctantly, and perhaps telling of their new humanoid form, the Kelvans accept the offer and they turn the ship around. The leader and the female share an "apology" and, presumably, the rest of the ship's crew are brought back into human form. This is an episode that started out pretty serious, but then ended up being pretty entertainingly humorous. A lot of Star Trek episodes tend to do that, I think. But there will never be any substitute for Scotty drinking an alien under the table for the sake of the ship. Thumbs up on this one! Scotty said Imma gonna gonna get you drunk! Get you drunk on this green funk!